Western Australia has plenty of beaches. Fewer crowds, sunsets over the ocean, white sand and crystal clear water. Once you've been to the beach in WA, you'll never want to go anywhere else. These are the best beaches we found for families. 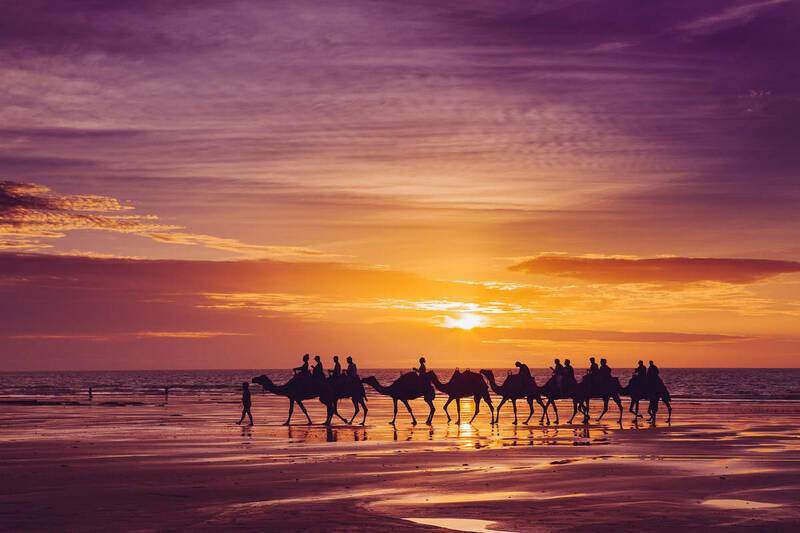 Cable Beach in the Kimberley is a 22km stretch of white sand, red cliffs and brilliant blue Indian Ocean. Calm waves make for great swimming, but you might want to try something a little different and go for a camel ride along the sand. At one end of Cable Beach, you’ll find the remnants of the prehistoric inhabitants who once kicked back and enjoyed a good sunbake. Gantheaume Point has fossilized dinosaur footprints older than 100 million years. Once you've found them, explore the lighthouse and watch the whales and dolphins playing in the waves. Snorkelling doesn’t get any better than this. Turquoise Bay isn’t so-called for nothing. 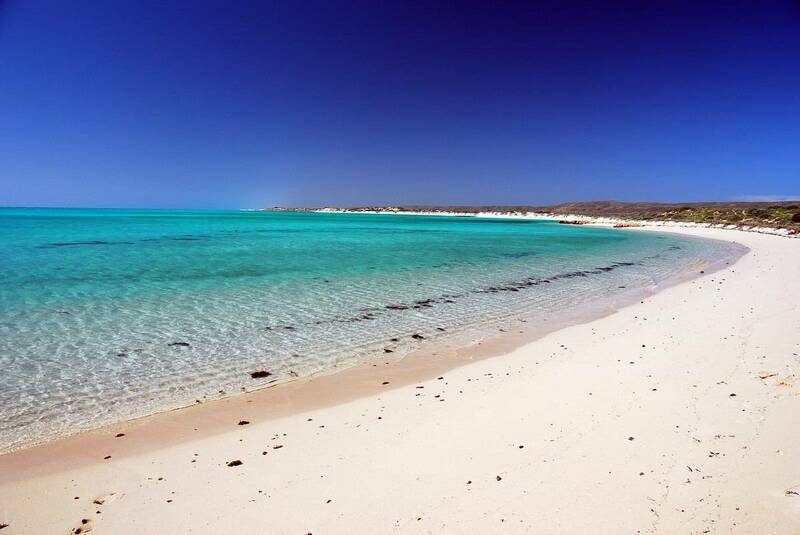 Dive into the clear inviting waters to explore the coral and sealife just off the Ningaloo Reef. Experts suggest you enter the water at the southern end of the beach and let the current take you to the north. 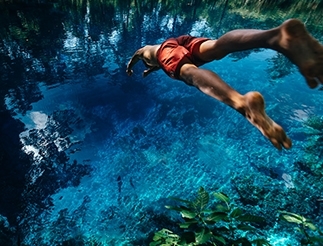 Strong swimmers are more suited to this idyllic haven. We suggest you check current information with locals before you jump in. Or better yet, tag along on a snorkel tour. You can fly to Exmouth from Perth and then drive the 60 odd kilometres south to the bay. Monkey Mia is not, in fact, known for swinging, banana-eating inhabitants. It is known for dolphins. Wild bottlenose dolphins swim into Monkey Mia Beach for daily feeding, which is a magical experience for kids. Keep the beautiful Shell Beach on your radar and take a tour with local Indigenous guides in the Shark Bay Heritage Area to discover its rich history. 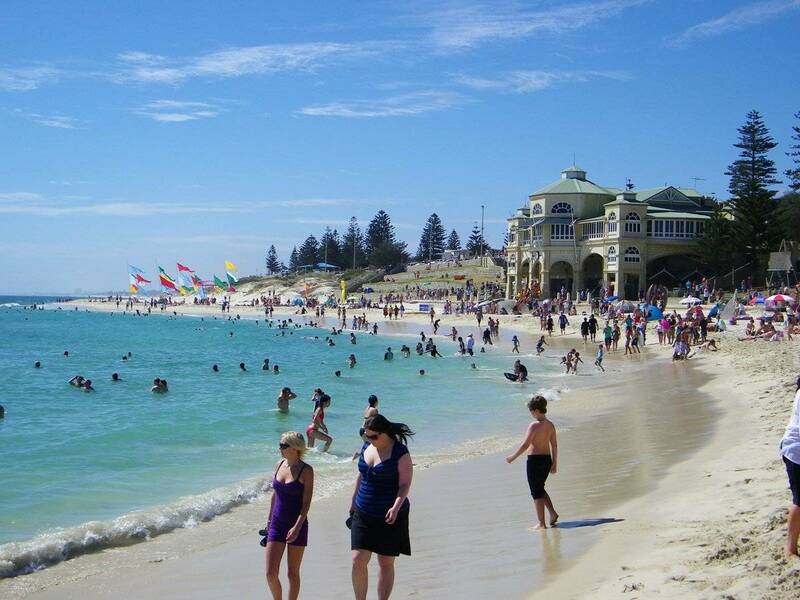 Cottesloe is popular with Perth locals. Families can get here using public transport. Cottesloe hosts Sculpture by the Sea in March every year. It also has a great cycle trail that follows the coast to Hillarys and plenty of open grassy spaces and playgrounds for picnics. Foodies will love the array of terrace cafes, especially the famous Indiana Teahouse overlooking the patrolled section of the beach. Need more inspiration? 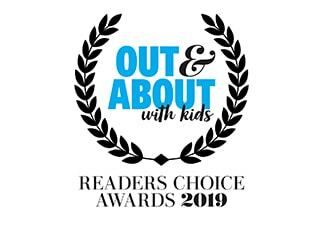 Check out the Summer Fun edition of Families of Australia.